If you like to be noticed when you are out clubbing, then these UV contact lenses will do that. 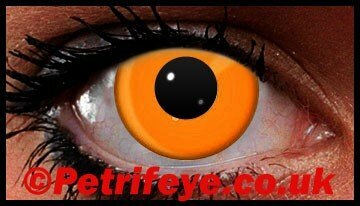 They are a very bright orange UV Reactive coloured contact lens that will Glow under the UV lights to amaze everyone around you at your party or event. You will be the centre of Attention.